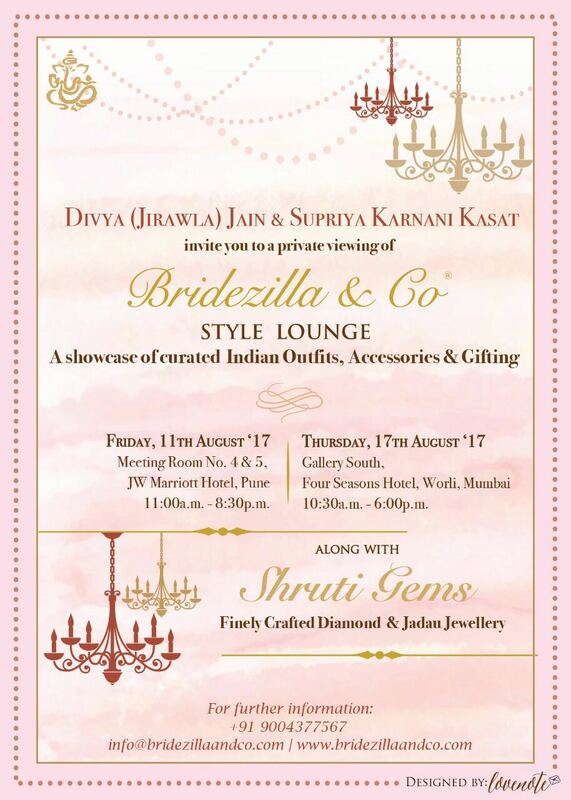 We at Bridezilla & Co are collaborating with Shruti Gems and invite you to be a part of an exemplary Style Lounge- Edition 1. This is a pop up, Style Lounge. This pop-up will play platform to a myriad of Outfits, accessories, gifting curated by Bridezilla&Co and a breathtaking display of Shruti Gems crafted diamond and Jadau jewellery. The aim of the event is to showcase the work of different designers under one roof to all the Bride-to-be and their families. Outfits & products will be kept available for display, sale and trials.